The execution of Iranian Reyhaneh Jabbari who was convicted after a deeply flawed investigation and trial is an affront to justice. 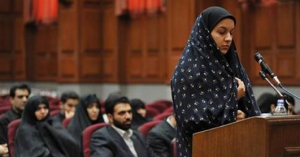 Reyhaneh Jabbari, 26, was executed in a Tehran prison this morning. She had been convicted of killing of a man whom she said tried to sexually abuse her. “The shocking news that Reyhaneh Jabbari has been executed is deeply disappointing in the extreme. This is another bloody stain on Iran’s human rights record,” said Hassiba Hadj Sahraoui, Amnesty International’s Deputy Director for the Middle East and North Africa Programme. Amnesty International believes that the death penalty is an abhorrent form of punishment and should never be used under any circumstances.